With the return of FOX' "Love Connection" already such a hit, Real Housewife Ramona Singer guests stars to try and make her own love connection. 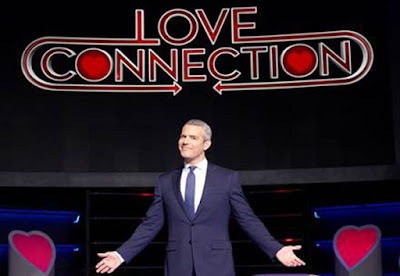 Host Andy Cohen heads the new season of "Love Connection" but shared the story that he was wanting to produce it before he was asked if he would host. The witty Cohen manages to share some of his knowledge of Singer's personality as she reveals what happens on her dates with the three lucky guys which spent a day with her. The show gave insight on how each saw their date from first appearance. Some are funny, some are harsh and some are king. From the start the audience could get a feel for each of the contestants and pick their favorites. Get wrapped up in the excitement episode after episode on FOX' "Love Connection."